I have seen a couple of pairs of boots on ebay that the seller calls MVSN boots, but they look like RN deck books or RAF boots. Black with no cap on the toe, that type of thing. Did the MVSN have there own boots or is this just someones idea of "its ebay so who really cares"? The seller is out of Italy, and does have nice stuff every once in a while, but I am just not sure of this. They are from a shop called DHARMA_IT SHOP. Anything is possible, but these don't have any design/features that I could say make them Italian. I have seen the combination of eyelet and speed lacing before, but never with an eyelet above the speed lace. The heel cap isn't a typical Italian shape. The lack of the toe cap. The boots look very modern. Overall, I have found Dharma a good vendor. I have purchase items from him before. But there is nothing that indicates that these are WWII Italian. The price is even scary to me. That being said, I certainly have not seen everything made for the Italian military in WWII. I would pass just because of the uncertainty. If I did buy them, I would do so knowing they are an inexpensive pair of boots that likely aren't WWII Italian. The same Seller sells also English Shoes. And they are similar ( if not the same) .. I used for MVSN Reenactment British Shoes with Italian Vibram Sole ( Carro armato). 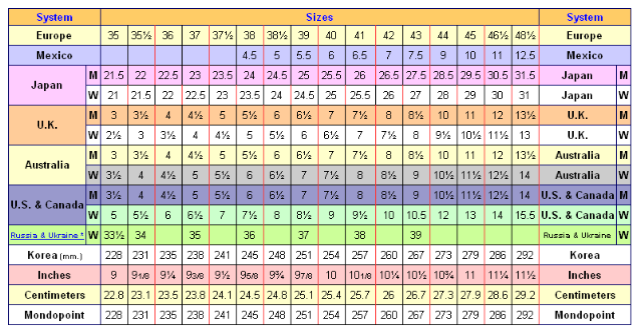 on the picture the shoe size is a 26. Japan? Great detective work Panzer. I believe thats answered that one. and this boots are also ok for reenactment ..if you find it for a normal Price. Has anyone bought boots from M1 Enrico? I've bought a helmet from him and I was very pleased. I'm also going to order a Sahariana and an M42 cap from him in the future. He told me that this tailor in Italy makes all the Italian uniform items from him. These are the same boots Sartoria Equipe offers. I don't know if Enrico buys his boots from Remo, or whether they both buy from the same cobbler. I am pretty sure that the uniforms are also from SE. I don't know whether there is a difference when ordering from either SE or Enrico (which is cheaper/faster). If Enrico keeps a stock of items, he might be quicker. The boots are excellent BTW. Yep, it's confirmed! Enrico gets his uniform items from Remo! I really like the boots, they look ace, I'll probably order a couple this spring. Do you know how much Enrico's boots cost? I looked on his website and couldn't find a price for them ...or anything else for that matter. Too bad things didn't work out with Mattermore Harness, he made a pretty good if not perfect M1912 boot, and at that time was working on making Alpini ones also. Looks like nowadays the only source for boots is Remo and the SE..
Has he gone out of business? His website is still up. I have recently read several positive comments from German reenactors about Matterhorn Harness (aka Civilwar Boots) on AHF. It is possible that Tom has gotten his act back together. I don't know. He is definitely still in business. I dont know what the issue is about Tom Mattermore but he keeps in good contact with me. I have an excellent pair of Italian M1912 boots from him and I have another 3 pairs in the making from him as we speak! He is still making boots and I have actually seen pictures of some Alpini boots he is currently working on. I think some here have gravely mis-judged. Just to be sure; is Tom the guy at Civil War Boots or a completely different person? Do they make them when you order a pair or do they have boots in stock? If they make them, how long does it normally take? How about authenticity? Should they look this bright? For a Bersaglieri eastern front 1942-impression, should I blacken the boots or just give them a coat of leather balm? I purchased a pair of WW1 US boots from him last year and I am very happy with them. It took about 4-6 weeks to receive them. Very comfortable and well made. I don't know enough about italian boots to see if his are spot on but they certainly look that way. There has been much discussion about Matterhorn's service 2-3 years ago on multiple forums. Too much to ignore. Recently the tide has swung and now there are many positive comments. That is why I posted that recent comments have been positive to update members of the fourm. He makes his boots to order. I feel his boots are okay, but not great. The main issue is the toe cap is much too large. I was the one that worked with Tom many years ago to start producing the M1912 boots. I bought his first two pairs. I have tried to get him to change the toe cap, but no luck. Black vice Brown. The common rule of thumb is black in Europe, brown in the colonies. Pictures show that either is okay anywhere, especially after the first year. If you have black gambali, then I would blacken. News to me. Tom Mattermore, who is Civil War Boots, has always given excellent service to myself and all I know personally. I reenact many different eras from 1640-1945 and everything in between and members of each unit I am part of has his footwear and every one has been exceptionally happy with them. Very authentically made. As I understand it, the reason that his M1912 boots are slightly different is that he copied a pair from WW1 and kept them that way so that he may offer them to both WW1 Italian reenactors and WW2 Italian reenactors. He does offer custom boots so I have no doubt in my mind that if YOU wanted a smaller toe cap he may accommodate you, however as to changing the whole line I don't see that happening. Yes, Tom makes his boots to order. They are that bright color because you have to either ask him to oil them or oil them your self. They will darken up then. Mink oil is your friend. I dont know enough about WW2 Italian I guess to really speak clearly and I am sure some here will smash me down for opening up. However, with all the other era footwear he has done, they have been nothing but EXCEPTIONALLY well made and EXCEPTIONALLY historically accurate. I am frothing at the mouth waiting on my new WW1 British boots and my WW2 German low boots to arrive from him. His Civil War boots excel above and beyond expectations and his 17th-18th century footwear is just awesome. I think I will duck and cover now. Yes, you should duck and run to cover. I don't how I should respond. First, Tom Mattimore doesn't have a pair of WWI boots to base his boots upon. I sent him pictures and descriptions, and exchanged many e-mails. Second, here is one thread discussing Mattimore. I am not saying this is true or not, but it is one example of why I stated what I stated. Finally, I had two problems with his boots: the toe cap and the width of the boots themselves. The lasts he uses are too wide. His reply to me was that those are the only lasts he had. No need to pursue the issue any more. I turned to SE and haven't looked back. Note in the more recent pictures above, the boots are still quite wide. Both of these boots were ordered for me. The SE boots fit just fine. I feel my statements have been fair, but I will let each reader decide for themselves. Well first off Jeff I said "AS I UNDERSTAND IT" which means I don't know this as a fact. It was what I had been lead to understand from others in regards to the WW1 boots. Clearly you know better than I and I am mistaken. But even so, I don't feel you have been fair. I am wrong all the same. I was expecting some sort of hostile and aggressive response and it looks like I got one from you. Thanks. I will be keeping my mouth shut around here from hence forth. Thanks for putting me in my place. Let me try to defuse this touchy situation. I apologize if you felt I was being unfair. I was certainly defending myself. I was unsure how to answer your post. What I decided to do was support my statements. Nothing more was meant by it or intended. I don't believe Jeff meant hostility or aggression; I have yet to see any such posts by him and usually find him avoiding that type of thing altogether -as with all the users I've encountered here on Comando Supremo. I have found CS to be "nicer" (for lack of a better word) than other forums and they don't seem to allow/tolerate bullying or haughty responses. Remember that on any forum or chat board (or email and text for that matter), it can be difficult to get your intent across and all too easy to misinterpret/misjudge the intentions of another. That being said, please don't feel you need to "keep your mouth shut". Your posts are welcome! Now, back to boots! What I took from it, was that Jeff was trying to show that CWB Italian M12 boots could stand to be a little more authentic and that SE's boots are, in comparison, more authentic looking. I am far from being an expert on Italian WWII footwear. My friend purchased a pair of boots from CWB back in 2008 and they don't look too bad. I'm not a fan of the type of hobnails he's using and I agree that they look a little too wide. However, I think they are fine for reenacting. I myself just put in an order for a pair last week and I plan on blackening them. While I would prefer Remo's boots, I prefer his uniforms even more. I can't afford both his uniform package AND boots, so I opted for the CWB M12s. ). Down the road I'll probably get a pair of Remo's and then have a loaner pair -assuming I can make them last longer than my other boots! I'm with Frederico on this one, for those that can't afford a par of SE boots SWB offers a reasonably priced option. I'll see what I'll do. German boots are OK for a RSI impression IMO, but for RE you gotta have a pair of good old M12's! How much does SE's boots cost anyway? 250 eur? I very much agree! I'll still use my German boots for RSI, depending on the unit of course. We've just been having so many REI events lately. I payed $200 for my boots from CWB. This was after Jeff had contacted Mattimore explaining the adjustments that he still didn't change the design. This was a few years ago, I can't say how he makes them now. And don't get me started on the hobnails!! Jeff is correct about Mattermore Harness. There was allot of scuttlebutt amongst German reenactors that were hosed with their orders similiar to what our old fiend, "he who's name we dare not mention" used to pull by taking the funds but never delivering any finished product. As far as I know this was still the case with CVB. My best advice would be to email Tom and see if he replies. If he does, then listen to your gut and make the call. Gee, my WW1 Brit boots and my WW2 German low boots just arrived from him last week. I must just be special. Along with every single person I have ever met reenacting in my life except for folks here. We even regularly send our old worn out boots and brogans BACK to him to get repaired after years of use. Thanks for all the input on Civil War Boots. I believe that any reader following this thread has enough information to chew on to make their own decision. I ask that we offer no more history. From this point on, if anyone has a new first hand experience with CWB (positive or negative), pleasse post it here. if you should discover a new source of Italian boots, please post here.